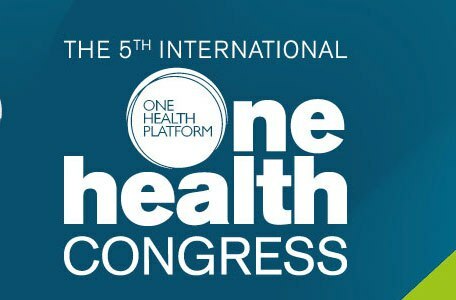 Please join the One Health research and policy community at the 5th International One Health Congress, which will be held in Saskatoon, Canada, on 22 – 25 June 2018. The 5th International One Health Congress is organized by the One Health Platform and the University of Saskatchewan, in close cooperation with the Southern African Centre for Infectious Disease Surveillance (SACIDS). Special attention will go to antimicrobial resistance, translational science, and recent advances in the fields of zoonoses and emerging infectious diseases. Dr. Abosterhaus is one of the world’s leading virologists. His interest in the One Health concept culminated in his current position as the CEO of Artemis One Health Foundation and professor of wildlife virology and virus discovery at the Utrecht University. He is also the director of the newly established Center for Infection Medicine and Zoonoses Research at the University of Veterinary Medicine in Hannover, Germany. To foster cooperation in all aspects of one health, Dr. Osterhaus has joined forces with professor Dr. John Mackenzie (Curtin University, Australia), who has an outstanding international reputation in the field of microbiology and its impacts on public health. Complementing the scientific knowledge of Drs. AbOsterhaus and John MacKenzie is Mrs. Chris Vanlangendonck’s expertise in the field of science communication, management strategies and organizational dynamics. She is the director of Semiotics, the Belgium-based agency that provides strategic communication advice to scientists, scientific organizations and academic institutions. SACIDS as the co-organiser, encourages all the African One Health Networks and One Health practitioners to actively participate in the event.